How Do I Stop Being David Cassidy? Can we talk? Pull over a chair and let’s have a chat. Glass of wine? Don’t be shy, I’ll have one too. You know, I’ve never really thought of this ‘thing’ I do as a real blog. Not in the true sense of what a blog entails. This ‘thingy’ is just an extension of me. It’s my way of trying to establish a personal bond. With you. Someone like-minded. Someone who has highs and lows, and lots of inbetweens. I think if we’re honest, most of us crave such a bond. A personal connection, if you will. So. I’d love to chat with you. Let you know what’s going on in my head. Maybe you’ve felt the same way (maybe not). I’ve never been before. Even though I’m English, my past ventures to Europe involved pseudo-scientific experiences on how long a Factor 2 suntan oil would protect your skin on the beaches of the Mediterranean or one or two seldom-mentioned Greek islands. (it turns out – not very long. Ouch). In my youth, I went in search of sun, sand, and English bars selling cheap booze. It was mildly comforting to hang out with other ‘severely-burned English people’ in dimly lit hole-in-the-walls. Such was my quest for culture and enlightenment. Then I got old (er). And I discovered not only a love for art, but a deep deep appreciation for it. No particular style, or finish. Just art. And then I went to Italy. I went for a family wedding (and I’ll tell you more about the actual trip itself over the next few weeks), but I wanted to take a step back and tell you how it ‘affected’ me. Have you ever been to Italy? It’s strikingly beautiful. I was excited about looking at authentic patinas. And I was blessed in being surrounded by hundreds and hundreds of years of naturally aged patinas. It was both inspiring and intimidating. Because the more I looked at the patinas, the more I realized that it would be so difficult (at my skill level) to try and replicate them, without looking contrived. You could get lost in patinas. Seriously. They have a mesmerizing power to pull you in; they almost beg you (challenge you) to try and dissect them. I came back with sensory overload. I wasn’t quite sure what I wanted to do with it all. How could I apply what I’d seen? Could I even begin to come close? Being unplugged for two weeks, I was eager to touch base on social media and see what I’d been missing. And then it hit me. I’m almost embarrassed to admit this, but I felt completely and utter underwhelmed. It was a really strange feeling. I think within a few days I had jumped the bridge from ‘complete and utter’ inspiration – to nothing. Same old, same old. Such a strange, unexpected feeling. Have you ever gone through that sort of thing? It’s a weird time in the painting world, at least it seems it to me. Maybe you feel it too? 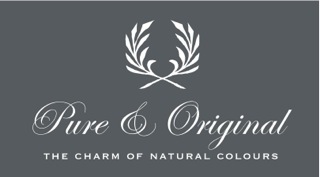 I’ve been introduced to another paint line which is exciting, but I’m becoming more aware of the pains that small stores go through, and it seems that I’m hearing about paint stores closing on a too-frequent basis. And for me, I’m feeling like….I don’t know, like the market is just ‘over-saturated’ with painted pieces. They are everywhere. There is no reprieve. It’s almost stifling. If I had to use an analogy to explain how it makes me feel, it would be like looking at posters of David Cassidy on your bedroom walls when you were 13 . And you loved him – like really loved him. And he was beautiful in every possible way. And you saw him every day. First thing in the morning. Last thing at night. EVERY SINGLE WAKING MOMENT and there was no escape from his white shiny teeth and flicked out hair, and that shell necklace…what was with the shell necklace? Didn’t he know it actually looked pretty girly? And then, you just wished to hell he’d give you space and stop staring at you, because it was getting creepy now. And then you just one day, woke up and just ripped his stupid grinning face off your walls. And it felt good because you knew that, at some point, you’d probably like to look at him again. But just not now. That’s a little of how I feel about painted furniture today. This isn’t arrogance on my part, truly it isn’t. If painting makes you happy. JUST DO IT. I stand by that, this is just me being open with you about how I feel. And it’s not about a certain painter, or a given style, or a certain line of paint. I’m tired of seeing the same application. And trust me, I realize that I’m part of the problem. And I think that’s the major sticking point for me: How do I stop being part of the problem? How do I really strive to be different? How do any of us? I’m sure that the non-painters would say it’s simple: Put the paintbrush away. And that is always an option, for all of us. Isn’t life full of options? For me, I think I am putting the paintbrush down until mid-September. That feels like the right thing to do. Wait until school starts again. Take time to take a few steps away from the ‘Overload of Underwhelmment’ (I think I just made a new word). And start to try and see things in a different light. A more authentic light. A different application, if my skill level will allow me. How will that manifest itself. I honestly don’t know. It is both scary and exciting at the same time. 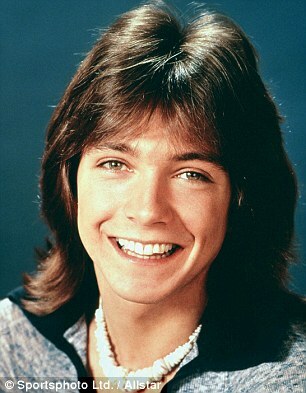 Even David Cassidy made a few comebacks (OK, admittedly some were in the form of mugshots). But, you get the drift. So, yes, I went to Italy. And I’ve so enjoyed our chat. Can I refill your glass? Mine’s a little dry.